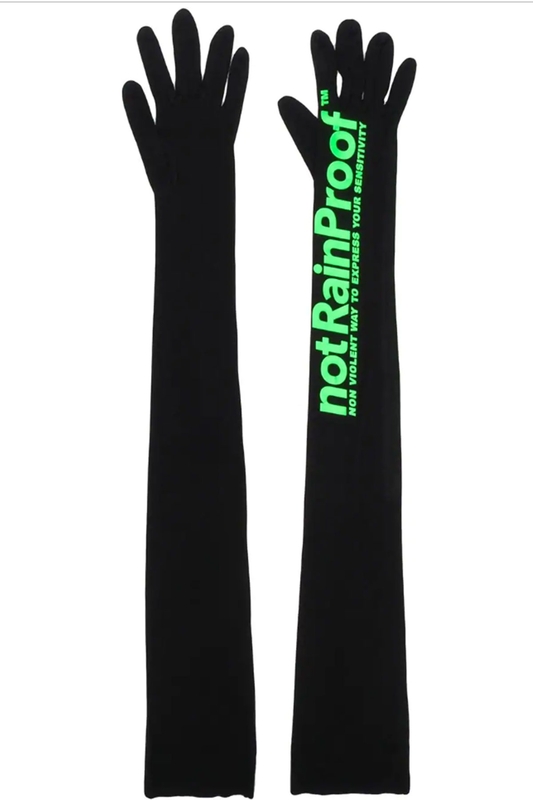 Extra-long gloves with over-sized Electric Green Logo Print.This is a handcrafted product using Premium Quality Jersey imported from certified suppliers from Italy, mindful of the fact that natural resources cannot be utilized, abused and damaged indiscriminately. 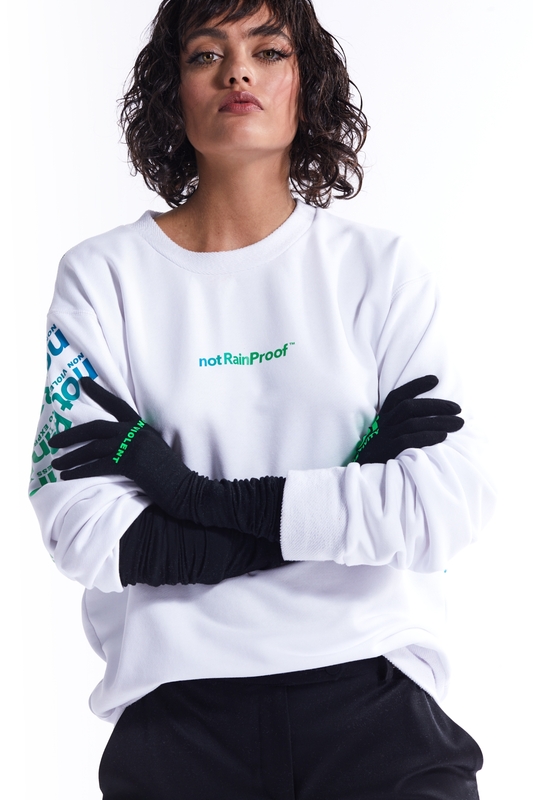 The Jersey used to produce notRainProof items, have been created with the reduction of chemical substances in the production process, adopting the 4sustainability Protocol and has implemented an MRSL (Manufacturing Restricted Substances List). Every single garment of notRainProof is crafted by hand in STYLAND atelier, we don’t produce excess inventory, and we focus on the quality of work and fabrics.